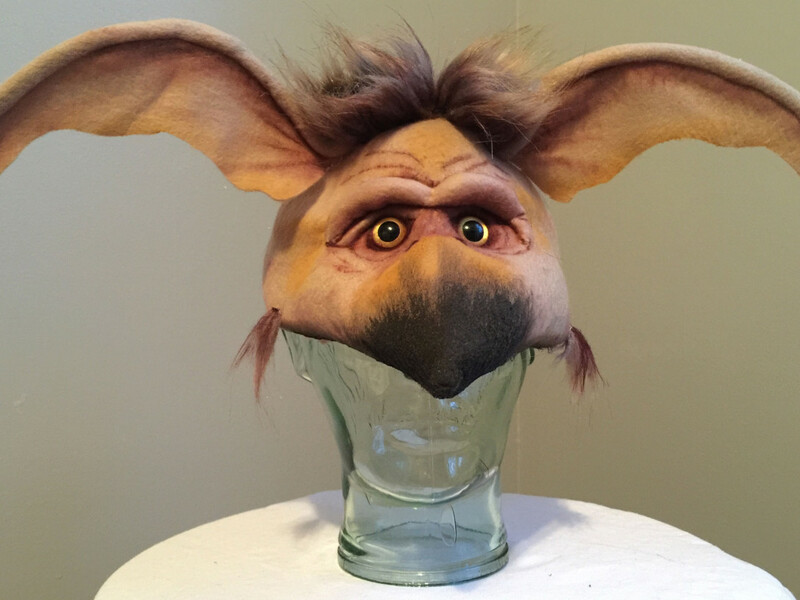 If Luke had one of these, he might not have had to spend a night in a tauntaun. 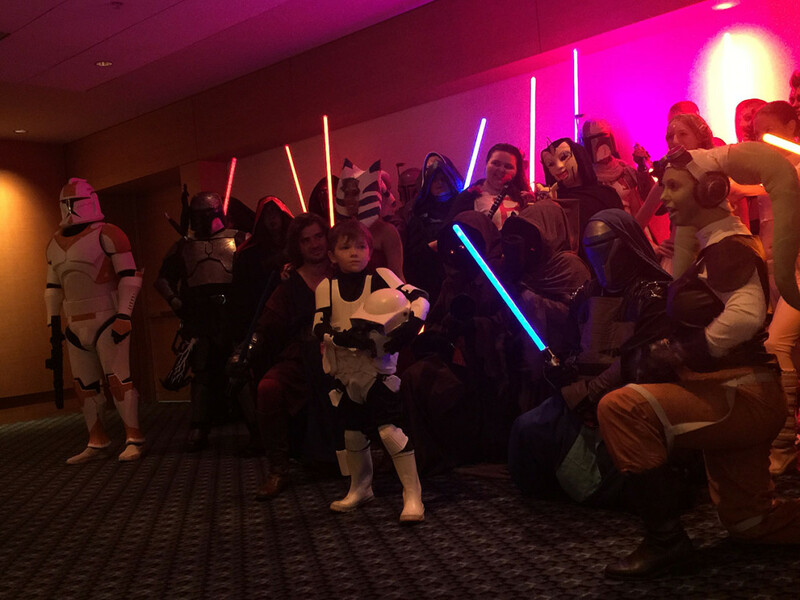 *Note: This will be a little more than you need. 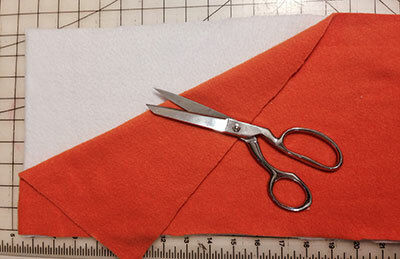 First, cut a piece of orange fleece 9 inches wide and about 60 inches long. Most fleece runs about 58 – 60 inches wide off the bolt, so just use whatever width you have. 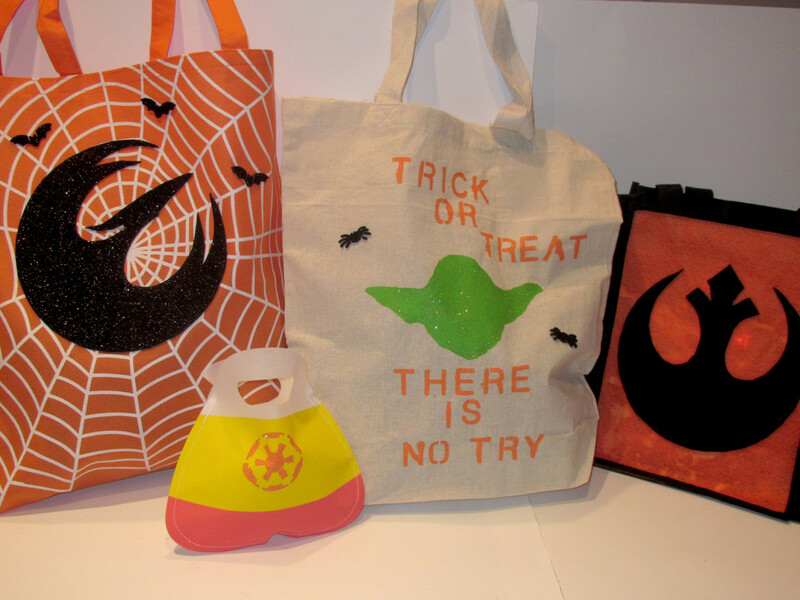 Cut a white strip of fleece the same size as your orange strip, and layer them wrong sides together. 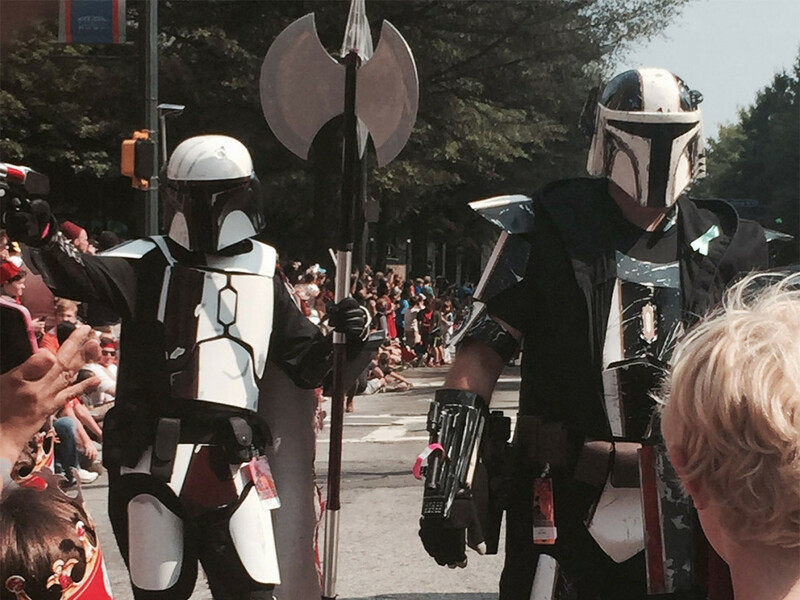 Next, you’ll need a paper copy of the Rebel insignia that’s about 5.5 inches wide. I just brought up an image on my computer screen and traced it. 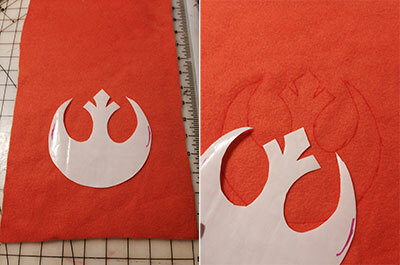 Once you have a good tracing, cut out the symbol, then use a fine-tipped permanent marker to trace it onto your fabric. 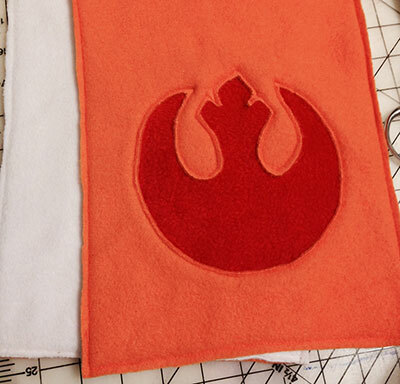 Cut a square of your red fleece at least 9×9 inches, and sandwich it between your orange and white fleece strips, centered under the Rebel symbol tracing. 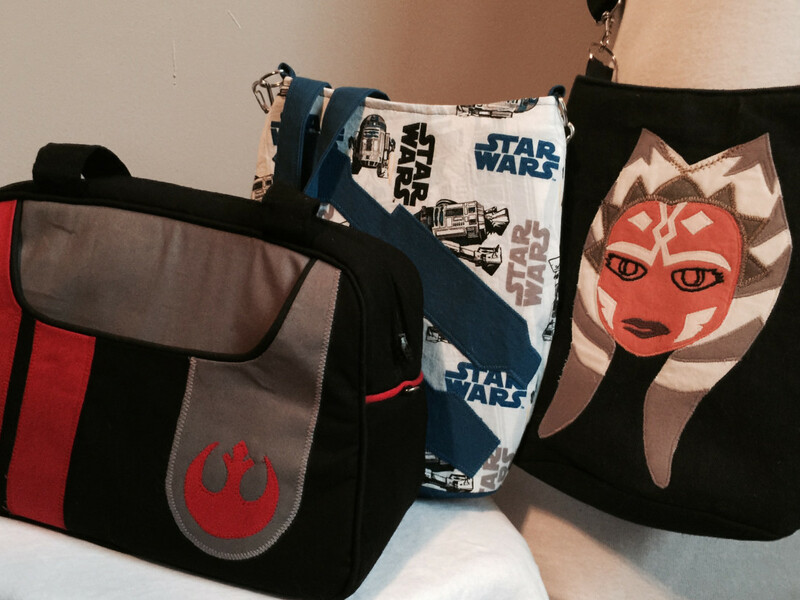 Stitch around your symbol, about ¼ inch outside of your tracing line. 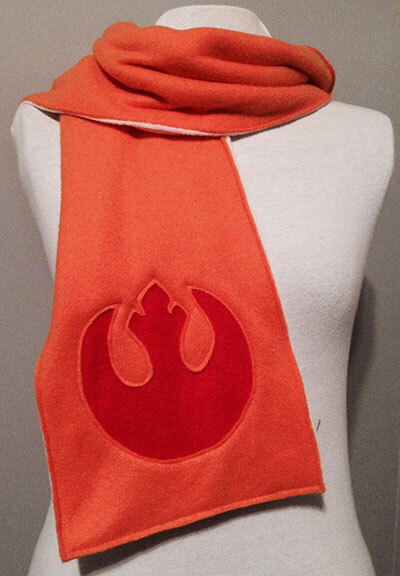 You will be able to see the symbol stitched into both sides of the scarf. 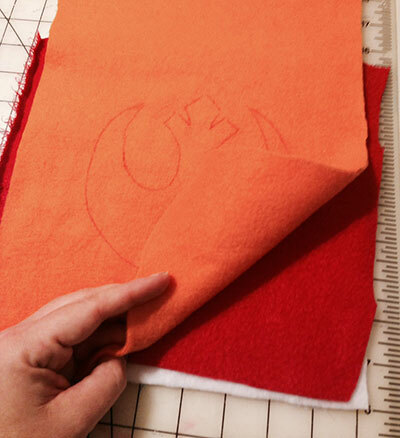 CAREFULLY trim away the interior fabric from your symbol between the stitching line and the tracing line. You only want to cut away the top layer, leaving the red insert intact. 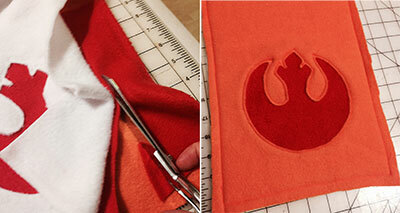 Once you’ve got the symbol cut from the orange side, flip the scarf over and do the same on the white side. (You won’t have the tracing line as a guide on the second side.) 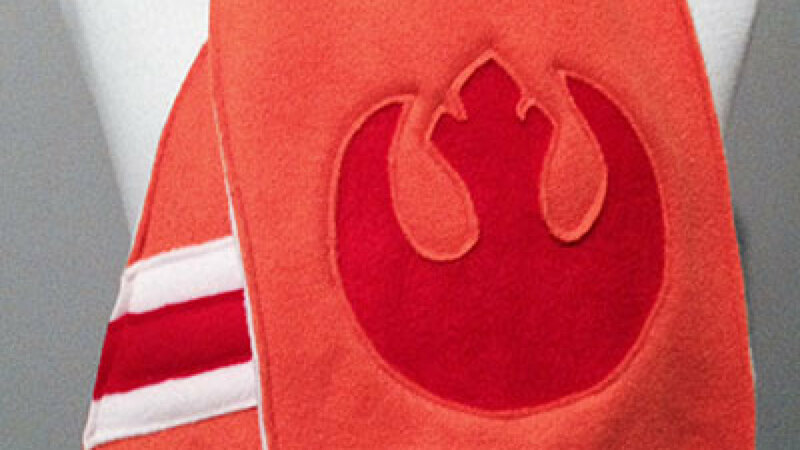 You should now be able to see the Rebel symbol in red fleece from both sides of the scarf. 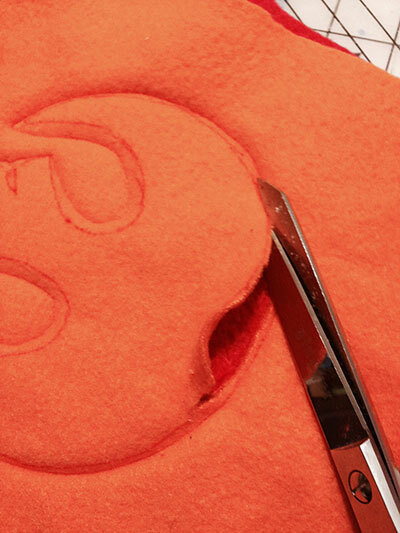 Next, trim away the excess red fleece between the orange and white layers. 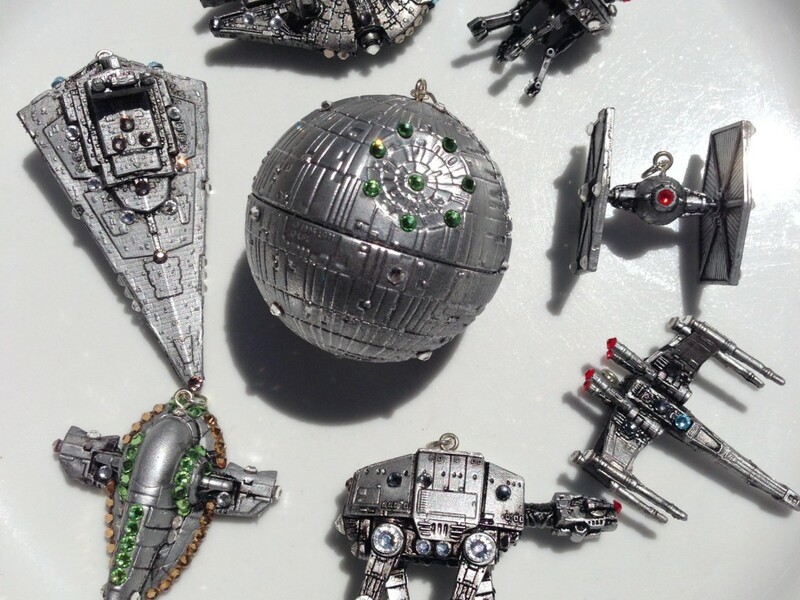 This will minimize bulk. 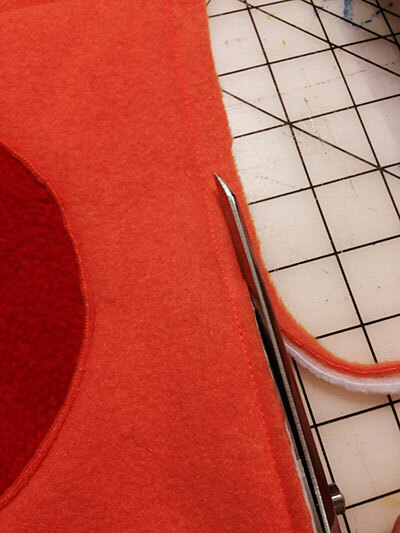 Once your trimming is done, stitch the orange and white fleece together all around the straight outside edges. 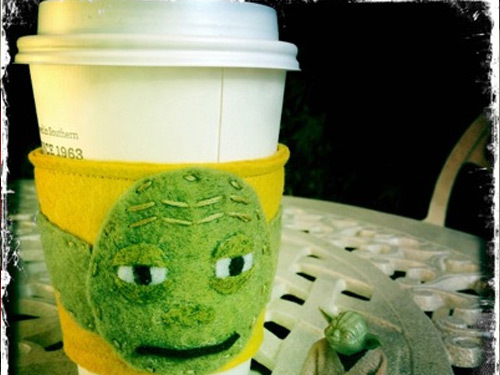 To make a nice clean edge, trim close to the edge stitching all around the scarf. If you want to add a sporty stripe to your scarf, layer a strip of red fleece about 1-inch wide on top of a strip of white fleece about 3 inches wide. 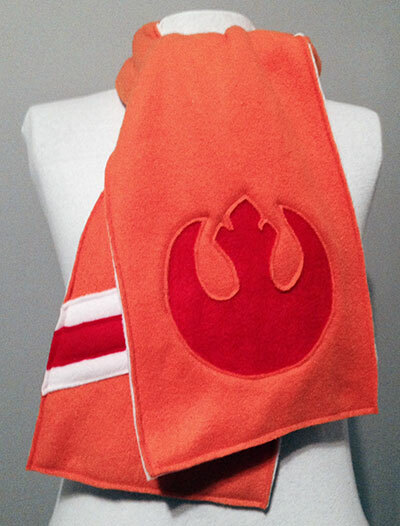 Stitch the stripes to the orange side of the scarf at a diagonal on the end without the Rebel symbol. 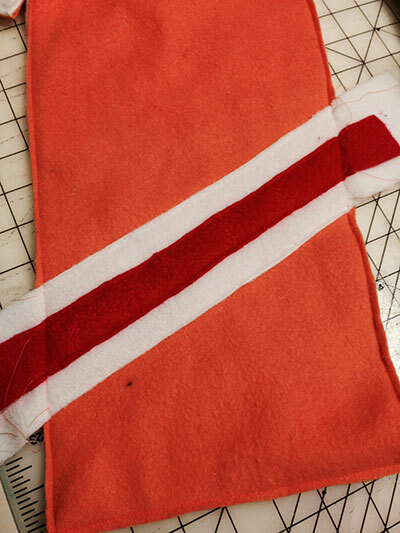 Once the stripe stitching is done, trim off the excess stripe fabric, and the scarf is complete. 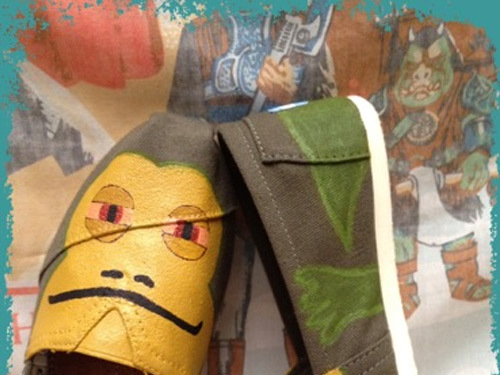 Now you’ll be bundled up for your next tauntaun ride!